If anyone has a spare RCBS sizing die for the .44 AMP they are willing to part with let me know, apparently mine from 1977 is out of spec or something, Every time I try to resize a case it rips the rim off of the case , and it does this with brand new unfired Starline brass! I have used Hornady one shot lube and the Dillon lube but the case always gets stuck, the die looks like new but must be undersized, I even took it down to Dillon with a few cases and the same thing happened there so they are saying that the die is out of spec. Has anyone else ever had this issue with the old RCBS dies too? I really doubt that the die ia undersized. Get some Imperial Die Sizing Wax and try that. Hornady One Shot works well for lighter sizing jobs. From my experience, the Dillon lube can be "application sensitive". The Imperial Wax is great for heavy sizing work. Thats interesting but even with the dillon lube I had no problem resizing .338 Lapua magnum rifle cases and yet its tearing the rims off of already sized brand new Starline brass, something is not right, the folks down at Dillon even thinks theres a problem with the die. I load about 7 different calibers and never had this issue before. Since you're talking about tearing the rims off, are sure you have the correct shellholder? Sounds like you know what you are doing and like wise I have never had a problem like that either. 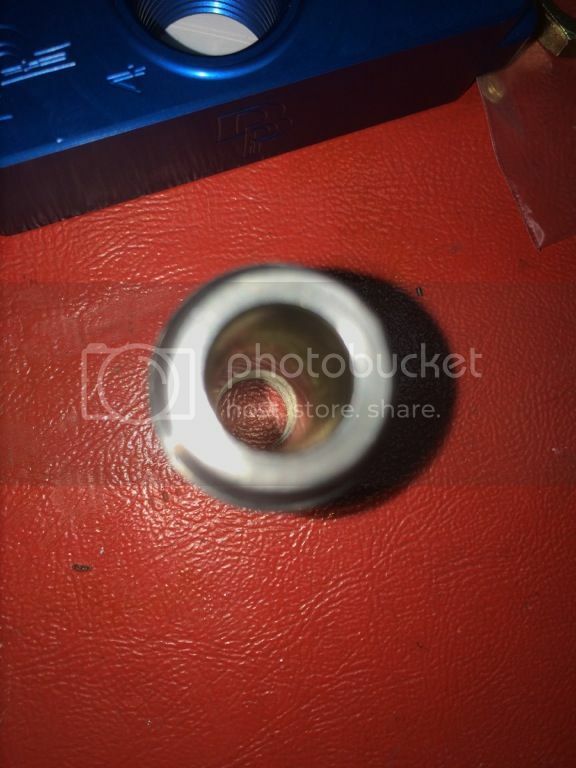 I have never stuck a case but I have come close and it was always caused by improper lubrication on my part. Does the inside of the die look rough or dirty? Have you tried polishing it with a bore mop in a drill and some type of polishing compound? What did Dillon recommend? 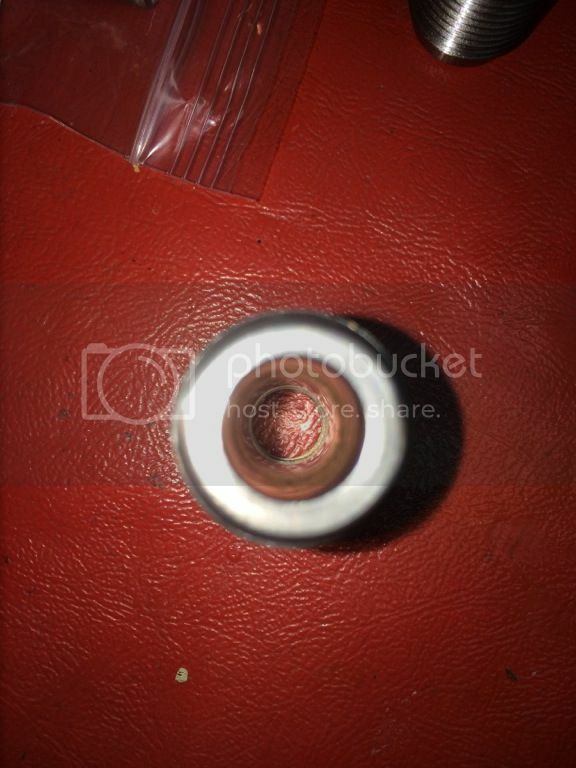 Even if the die was small, with proper lubrication you should never stick a case. I have loaded a lot of wildcat cartridges that drastically change the brass and with the Imperial Wax, no problems. Sorry, I am not more help. Good luck. Why don't you just call RCBS and send the die for inspection? Many of these companies offer great customer service and fix it for free. I agree, if it's way out of spec, RCBS will most likely make good on it. They have changed their warranty in that it only applies to the original purchaser. 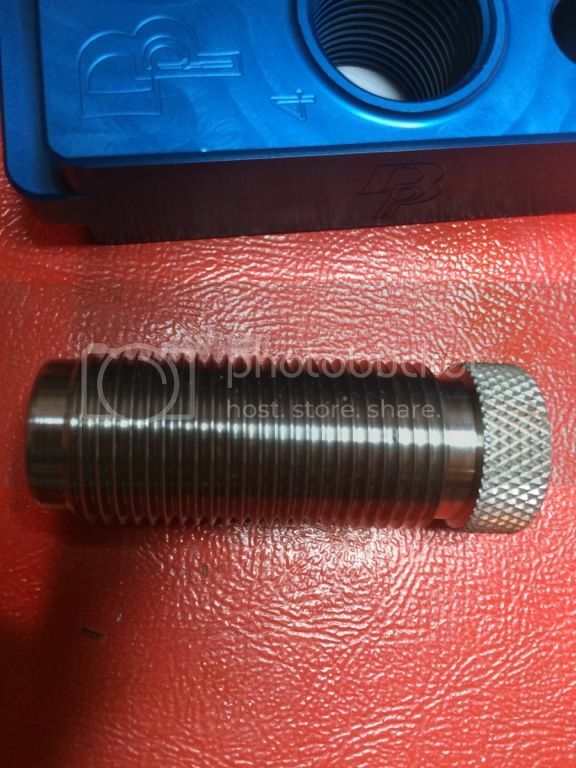 I had a bad 38 S&W die from RCBS, it was definitely machined out of spec. They replaced it. 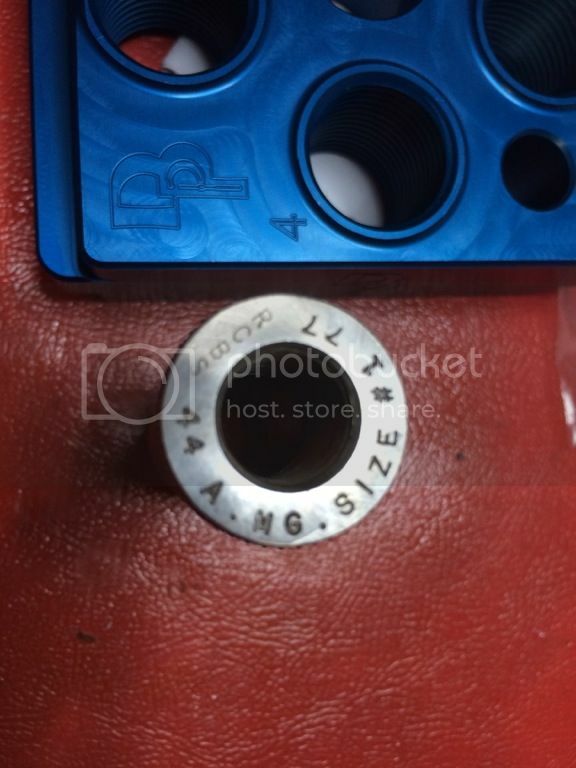 Can you show some pics of the die, and what is stamped on top of the die? I'm wondering if someone didn't put a 44 mag sizer in their or something else that isn't an Automag sizer. If it's properly lubed, like BEEMER said, it should come out. I have stuck numerous cases, and it's usually been from poor lube. I will not use one-shot. However, I have never had a problem with Dillon or Midway lube. Even they don't fix it for free, it's way better to have the original manufacture inspect it than getting frustrated and mess it up by some guessing work. If you tried both RCBS and Hornady and preffer RCBS, that is a great advice. It seems like many people have difficulty adjusting Hornady seater/crimp die thus hate Hornady. Some of my calibers, I have two of them and use one for just as seater die, and the other for just crimp die and love that seater sleeve concept. I'm not trying to defend Hornady but again, if it's reasonably priced and available, I don't think it's bad idea. Dillon thought the die was out of spec, I called RCBS and they said if I send it in they will check it and if its out of spec they will replace it with a new one, I asked if they replaced it if there was any way I could have the old one back also just so I have an original set from the 70s but they said they probably wont give the old die back with leaves me with seeing if they can bring this one back to spec or just spending the money and buying a RCBS carbide die from them, unfortunately its a 16 week wait Anybody have a polishing compound they recommend? here are some pics of the die. ...or just spending the money and buying a RCBS carbide die from them, unfortunately its a 16 week wait . I nearly did, but they don't ship outside USA.